Early identification, understanding, and appropriate intervention is the key to a child's success. Is your child underachieving academically? Have teachers suspected Attention-Deficit/Hyperactivity Disorder (ADHD), Autism Spectrum Disorder (ASD), or a learning disability may be at the root of your child's academic, behavioural, and/or social challenges at school? Or do you think your child may be gifted? Early identification and intervention is an important key in helping a child who is struggling reach his or her full potential. Many parents are unclear about exactly what a psychoeducational assessment is and what benefits it offers. A psychoeducational assessment will evaluate your child's thinking/reasoning abilities and underlying psychological processes (e.g., attention, processing, fluid reasoning, memory), academic achievement (e.g., expressive and receptive language, reading, writing composition, math), behaviour and social-emotional functioning. A thorough psychoeducational assessment can help by making sense of your child's struggles; it provides information about the reasons behind the challenges. Furthermore, it creates a picture of your child's unique learning profile, by assessing current cognitive functioning and gaining insight into strengths and weaknesses, cognitively, academically, and emotionally. A psychoeducational assessment offers a more accurate and complete picture of your child that can change the way your child is perceived, and ensure that appropriate educational programming and accommodations necessary for success are recommended. In addition, we can assist parents in navigating and connecting with a network of supportive resources available to qualified individuals such as: the Disability Tax Credit (DTC), Family Support for Children with Disabilities (FSCD), and others. Our clinicians are Permanent Certified Alberta Teachers, who have an in-depth understanding of the school system and expertise in early detection and diagnosis of ASD, Giftedness, Learning Disabilities, ADHD, Anxiety and Mood Disorders, Behavioural Disorders, and a variety of other issues. We also understand the admission requirements and necessary assessments for acceptance to private schools (e.g., Webber Academy, Rundle College), and the criteria and comprehensive gifted assessment required for admission to the Gifted and Talented Education (GATE) Program. Go to our confidential contact form to start the process. We understand that assessments seem complex, and involve a considerable time commitment on your part, so this appointment is used to determine if an assessment is indeed necessary, to answer any questions you may have, and to make sure that you feel comfortable. Assessments are offered through our Calgary office. Information regarding the cost of a psychoeducational assessment can be found on our fee page. Book an assessment in our main office (Midnapore). ...or book with us at our Acadia location. It is empowering to uncover the root cause of problems and start using appropriate resources and strategies to be more successful. Adult psychoeducational assessments are used to assess intelligence, achievement, and social-emotional functioning. Most importantly, they describe academic and intellectual strengths and weaknesses and determine an individual's unique learning style, so that specific recommendations can be made to improve learning and functioning at school, home, or work. Psychoeducational assessments are also commonly performed to detect the possible presence and severity of various learning disorders (e.g., Mathematics Disorder, Reading Disorder, Disorder of Written Expression), attention difficulties (e.g., adult Attention Deficit Hyperactivity Disorder), and social / emotional problems. There are many reasons adults may seek a psychoeducational assessment. Often adults choose to have an assessment because they are curious about their learning profile; they may suspect something is causing them struggles and holding them back academically, in activities of daily living, or in their present job situation. Many adults entering university or the workplace may want an assessment of learning issues and/or ADHD and Autism Spectrum Disorder (ASD). In many cases, people find an accurate diagnosis changes their lives and how they view themselves. After years of self-blame and struggles academically, personally, and professionally, it is empowering to uncover the root cause of problems and start using appropriate resources and strategies to be more successful. One of the most common motivations for adults to seek a psychoeducational assessment is seeing themselves in their child who has been diagnosed with an LD, ADHD, or ASD. In these cases, parents learn of the symptoms of a disorder in the process of helping their child, and then begin to suspect that their own life-long struggles may be because of an undiagnosed condition. Getting a comprehensive psychoeducational assessment completed by a qualified professional provides you with a detailed profile of your learning style; it includes a description of strengths and weaknesses in cognitive abilities, academic performance, and social-emotional functioning. It determines eligibility for services, resources, and special accommodations to improve your ability to succeed. It will also give straight forward, practical recommendations for strategies to support learning and functioning in the classroom, in life, or in an occupational setting. Go to our confidential contact form to start the process. We understand that assessments seem complex, and involve a considerable time commitment on your part, so this appointment is used to determine if an assessment is indeed necessary, to answer any questions you may have, and to make sure that you feel comfortable. 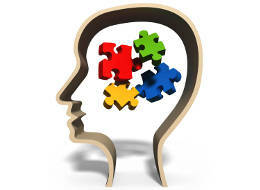 You may also like to try out our online Adult ADHD Screening Test. In today's world, life can be challenging to maneuver at times. As we move through life's phases, many different issues can arise, and at times, exhaust our usual resources to cope. These may include experiences with trauma, anxiety, grief, health challenges, divorce, mental illness, family conflicts, depression, and much more. You do not need to suffer with debilitating anxiety, depression, or psychological pain alone. You can use psychotherapy to provide clarity, direction, and learn how to remove barriers that prevent you from experiencing the happiness and well-being you deserve. At Alberta Counselling Centre, our psychologists use a collaborative approach and rely on well established, evidenced-based therapies to address real life problems. We customize treatment plans for individual clients and their presenting symptoms, and use a variety of interventions and psychotherapeutic models, including Eye Movement Desensitization and Reprocessing (EMDR), Cognitive-Behavioral Therapy (CBT), and Solution Focused Therapy. We are also approved providers for Veterans Affairs Canada (VAC), the Canadian Armed Forces (CAF), the Royal Canadian Mounted Police (RCMP), and Citizens Immigration Canada (CIC). We provide psychotherapy to treat many types of anxiety and trauma. For some counselling sessions we also offer online counselling or teletherapy, which may be a viable option for those with demanding or inflexible schedules, family commitments, or limited mobility. Book a session with one of our psychologists. Is stress overriding fun and enjoyment in your family? 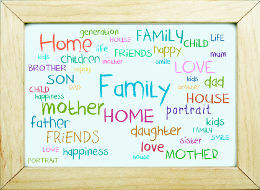 Is there intense conflict in your family and you wish family members could communicate with each other without fighting? Do you feel like your family is barely surviving rather than thriving and supporting each other? Family therapy can help family members reconnect so that individuals feel more understood, supported, and respected — something everyone needs and deserves. We embrace diversity and recognize that each family is unique. The treatment model our psychologists use is an integrative, strength-based, and resource-oriented approach. Our therapists can help your family navigate a variety of life's challenges. Life transitions can cause families distress and elevate stress levels. Life challenges such as the arrival of a baby, divorce and co-parenting, the death of a family member, and trauma cause stress and necessitate change. Whether it's about improving communication skills, clarifying roles and boundaries, or learning new parenting strategies, we can help. Our psychologists are experienced in techniques used to help family members find common ground and function more effectively. Sessions are available in our Calgary office. Book a family counselling session.